No, I‘m not going to talk about a new reality show à la “The Island”, but just about what my life has been like lately. Two years ago Gleb, our two cats and I were leaving France to move to the tiny island of Gozo, in Malta. If someone had told me a few years ago that I would leave France at just 21 years old to move to such a tiny island, a rock that doesn’t even show up on the maps, lost in the middle of the Mediterranean sea, I would have laughed. Yet, there I was on this tuesday, 27th of May 2014, pacing in the airport of Nantes with five suitcases larger than me, two stressed out cats in their carrier bags, and a one-way ticket in my pocket. 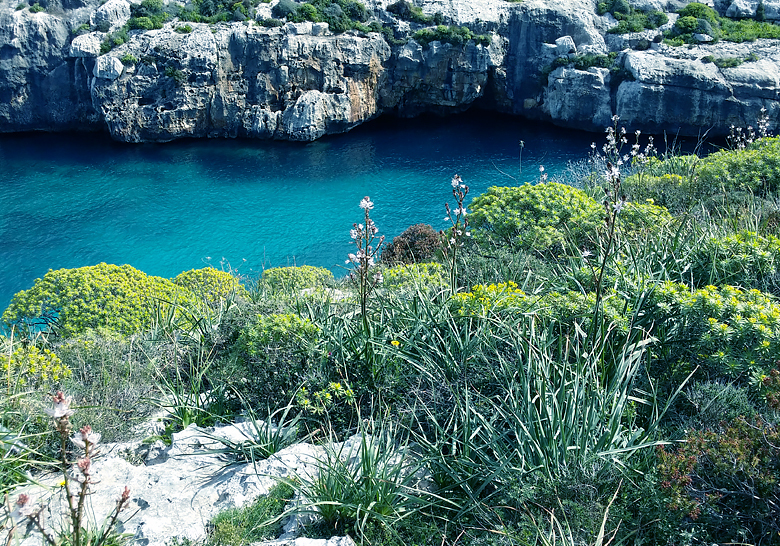 First, let me give a brief portrait of Gozo. Located north of Malta, this Mediterranean island is 14 km long for 7 km wide and counts about 30 000 residents. The weather is beautiful throughout the year, with temperatures that come close to – and exceed – 30 ° C from late April to early November. This is a very rural island, consisting of small villages surrounded by agricultural plots or wild areas overlooking the sea. The island offers a sumptuous scenery that reminds me a bit of Corsica, except that Gozo is less hilly and somewhat drier . In Gozo, life is very sweet. 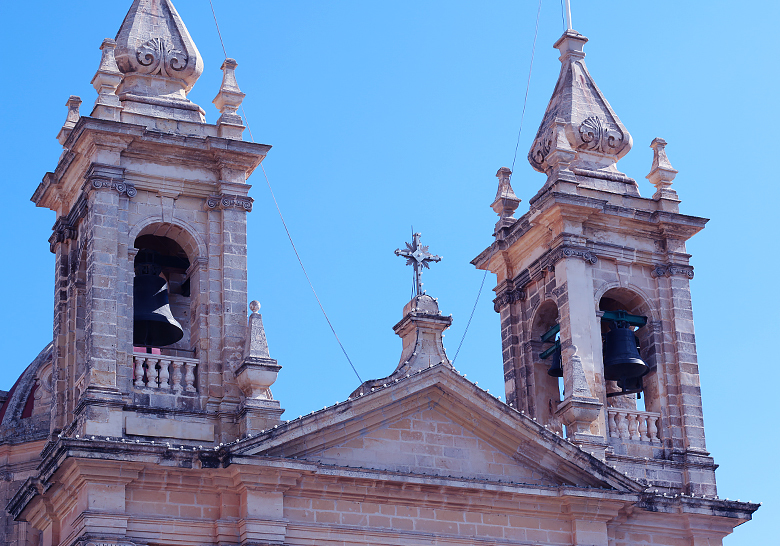 On the maltese archipelago, 99% of the population is catholic, and in small villages life still revolves around the church. Churches, let’s talk about them ! They are countless and really beautiful. Each village has its main church and the locals go religiously – no pun intended – to the masses and celebrations that are hold there several times a week. It’s quite magical, to be drinking coffee in the early morning in the village’s square. 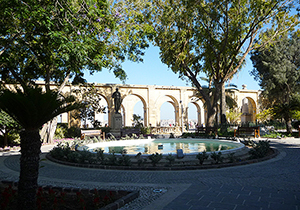 The peace and quiet is only broken by the sound of an old lady’s heels trotting to church, by gozitans who greet each other in maltese and discuss – I presume – the weather while gulping down their coffee, by children in uniform running to school. If there weren’t all these modern cars around us, we could almost believe that we’re back in the late 50s, somewhere under the sun, somewhere where life feels good. So, what does it feel like when you’re French, have been living in a big city for several years, and end up in such an environment ? It’s exotic, obviously. But in a good sense. You learn how to live in a simpler, more peaceful way, cradled by the waves and the rythm of the sun. Of course, there are a few things here that drive me crazy, but it’s usually material and superficial things. Whether it’s clothing, furniture, or everyday products like shampoo or diapers, the choice here is quite limited. And finding websites that deliver to Malta – without exorbitant shipping fees – is no easy task. When I have a plane to catch, I have to leave my house five hours in advance, because I have to catch a ferry first to go to the main island. Within two months, I’m going to give birth “naturally”, without anesthesia. Not by conviction, but simply because my hospital does not offer epidurals. It’s not in the customs of the island, so I don’t have a choice, unless going elsewhere to give birth. When you’re used to have comfort and abundance nearby, it’s confusing to arrive on an island where all these things no longer exist. But you quickly learn how to deal without it, and it doesn’t make you any less happy. It just requires a little more organization and adaptation. And I think this is also what expatriation is about : everything can not be perfect or identical to what you used to know. 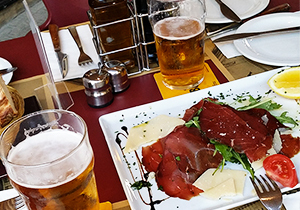 When you move abroad, you have to adapt to your new country, embracing the good and the bad sides of this new lifestyle. Otherwise, it’s doomed to failure. This expatriation gave us a peace of mind we don’t think we could have found in France. We didn’t move to the other side of the world, we’re only three hours away from Paris, and despite some pronounced cultural differences, we are still in the European Union, in a developed country. However, our living environment is completely different from the one we knew in France. 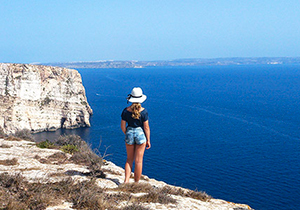 Gozo is one of the safest islands in the world, unemployment is extremely low and poverty is non-existent, the locals are proud of their country and they’re happy to live there. The year round sunshine, the house with a swimming pool and the idyllic coves five minutes away from our home are the icing on the cake. So that’s it, what living two years on a tiny island has done to us. It has changed us for the better. Gleb and I lead a simpler and more peaceful life, and we’ve never been happier, both individually and within our relationship. Since Gleb works from home, we are constantly together so we’ve always been very united, but this whole experience has connected us even more. We’ve learned to focus on what really matters to us and we lead our boat as we wish, following our dreams without anything to stop us. Going back to France ? Only a family drama could force us to do so. Moving elsewhere ? 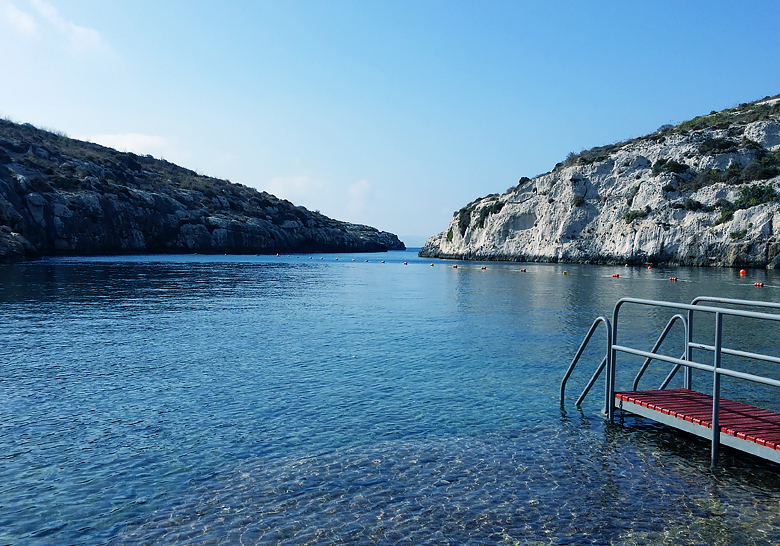 Maybe one day, if the maltese life loses its appeal, but we don’t think this will happen anytime soon. We’re so happy in Malta that it’s the country we chose to build our family. I look forward to beginning this new chapter of our life with our daughter… and still in Gozo, of course.